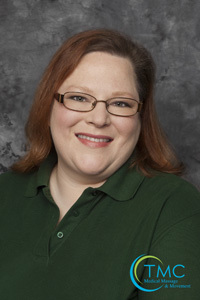 Michelle received her education from the Central Ohio School of Massage in 2002. She also received a Bachelor of Fine Arts from the Ohio State University in 1994. License # 138729 OSU and BWC Certified Provider. Michelle is not your typical female sports fan, she is a serious “hockey chick”. Not only is she a full season ticket holder for the Columbus Blue Jackets, she’s also an officer for the Jacket Backers (the Official Booster Club for CBJ). If you don’t have time for a long conversation, we suggest staying clear of hockey as a topic. We are a massage practice that focuses on pain, muscle dysfunction and movement. We offer a variety of massage and movement modalities from general relaxation massage to medically necessary treatments to help you function and move your body more easily.